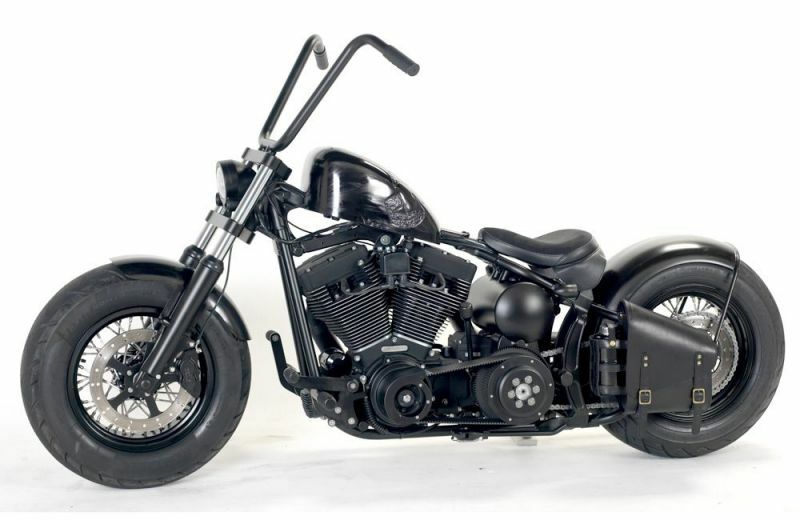 This 2008 Night Train has our logo chiseled into the gas-tank, which has been mounted 'Frisco' style for a bit of chopper flavor. The sheet-metal has been treated to a black patina and the component parts sport our favorite satin black powder-coat. 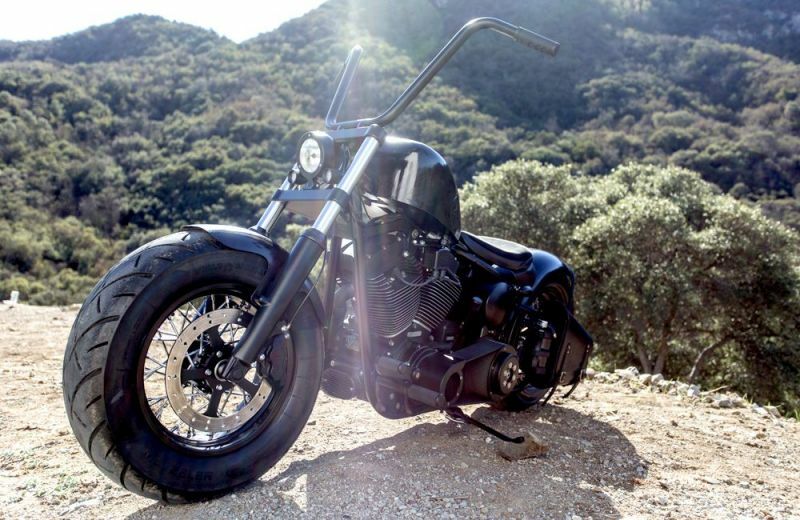 A jockey shift with centrifugal clutch adds to the chopper factor – and the fun factor! 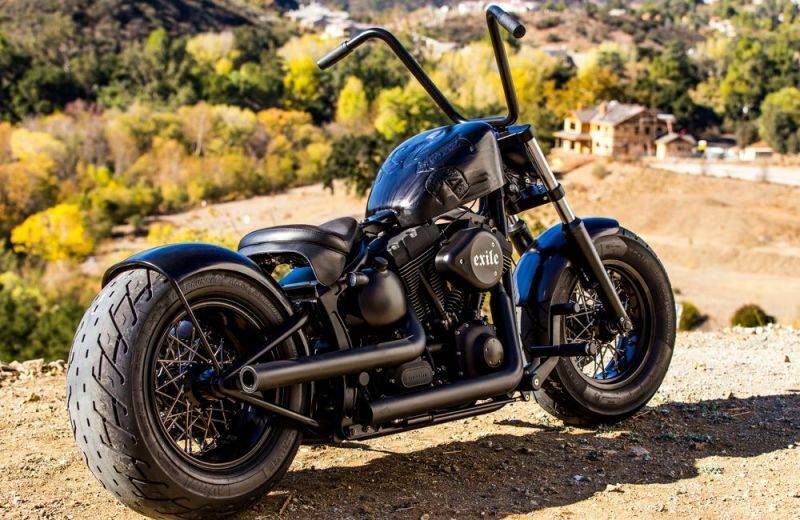 This bike features around $19,000 of parts from our catalog, plus some minor fabrication work, powder-coat, etc.